I'm Serena Schermoly, 47 —Ward 2 Council Member and candidate to be your next Mayor. Prairie Village is my home, and it is home to some of the greatest people, places, businesses, events, and traditions I’ve ever known. I’m sure you agree. Resident of Prairie Village, daughter, wife, mother of three daughters, 12, 14 and 26, grandmother of two grandsons, business owner, Safety Director for Trucking Companies. Committed to Safety and Public Service and Making a Difference. Currently serving as Chairman of the Prairie Village Arts Council, Arts Council Representative, Prairie Village Foundation, Transportation & Infrastructure Services Federal Advocacy, Women in Municipal Government - Board Member, Previously served as Prairie Village Planning Commission Council Liaison, Chairman of the Prairie Village Teen Council, Graduate of the Northeast Johnson County Chamber Leadership program, Vice Chairman of the Statuary/Island Committee, Vice Chairman of the Prairie Village Arts Council, Marketing Director for the Prairie Village Jazz Fest, Chairman of the Safety Council, Kansas Motor Carriers Association. Getting involved and becoming active in many facets of our community has been a highlight of my life. The energy and ideas I’ve been exposed to while working and leading our city’s premiere arts events inspired me to get more involved in public service. The engaged discussions and passionate deliberations I’ve experienced and participated in since joining City Council in 2016 — with residents, other council members, city staff and other stakeholders — ignited my desire to lead and facilitate the work ahead of us. This is not about what I can do. This is what WE can do together. Call me night or day, What’s important is What Matters to You. Who is in the Pocket of the Builders? Schermoly, who is running for mayor, questioned whether 30 days was enough notice for the business community to provide its input. She also said she had concerns about enforcing the ordinance and that forcing business owners to provide services that violated their religious beliefs could lead to litigation and other costs. 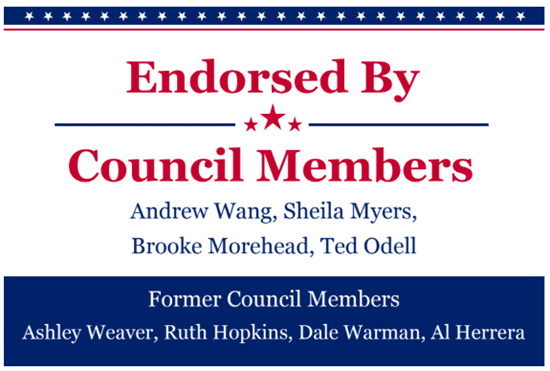 I am proud to announce that Andrew Wang is endorsing our campaign. To have the support of Andrew, the senior member of City Council demonstrates that our campaign is working for the residents of Prairie Village. I appreciate the support of Andrew a man with integrity, loyalty and who has worked so long and so hard for his residents. Andrew understands the issues facing our city and has devoted his time and energy to making the best choices for Prairie Village. I am honored to accept his support and for as Mayor I will bring the same concern for our residents to every issue we face. Before a standing-room-only crowd at Colonial Church Wednesday, the three candidates running to succeed Laura Wassmer as Prairie Village mayor shared their views on pressing issues including the teardown-rebuild trend, sharply rising home values, and the use of public financing incentives for redevelopment at the Shawnee Mission Post’s candidate forum. You can see full video of the event here. 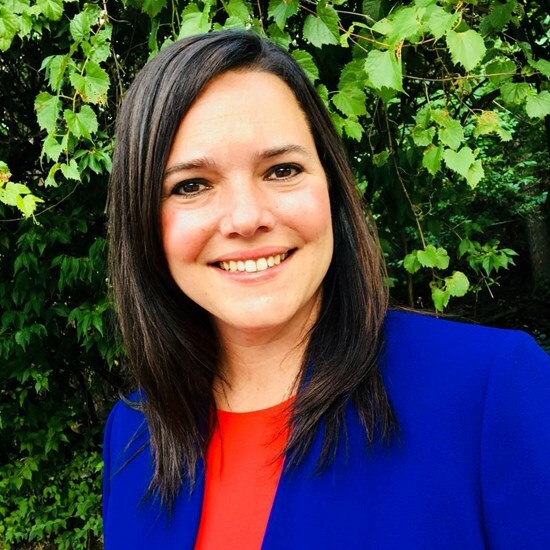 Candidate Serena Schermoly joined Prairie Village in April 2016 as a Ward 2 councilmember. The City of Prairie Village is in the process of considering updates to our zoning regulations, particularly as it relates to the design of single-family residential properties. A committee of local design professionals and city staff have been working together for several months to draft new regulations that would govern the design of single-family residential homes. This effort began at the direction of the City Council with the goal of protecting neighborhood character while balancing the changing demographics and needs of the Prairie Village community. The proposed changes to the zoning regulations can be found at the link below. The changes include added requirements for greenspace, street trees, and the size of buildings and garages. These proposed changes are in addition to the changes that were adopted by the City Council in 2016, which decreased maximum building heights and increased side setback requirements. The City will be holding open houses on July 9, July 11, July 17 to provide additional information and gather feedback from our residents. These open houses will be held from 5:30 p.m. to 7:00 p.m. in the Council Chambers at Prairie Village City Hall, located at 7700 Mission Road. Residents may come and go as needed. Can’t make it to any of the open houses? We still want your input! Please take a minute to complete our survey regarding the proposed changes at www.surveymonkey.com/r/PVneighborhoods. The City values the opinions of our residents, and public input is certainly encouraged to help shape the future of our City. If you have any questions about the proposed guidelines or the public open houses, please contact Jamie Robichaud, Assistant City Administrator, at jrobichaud@pvkansas.comor (913) 385-4601.